For too long, the history of Christianity has been told as the triumph of orthodox doctrine imposed through power and hierarchy. In A People's History of Christianity, historian and religion expert Diana Butler Bass reveals an alternate history that includes a deep social ethic and far-reaching inclusivity: "the other side of the story" is not a modern phenomenon, but has always been practiced within the church. Butler Bass persuasively argues that corrective—even subversive—beliefs and practices have always been hallmarks of Christianity and are necessary to nourish communities of faith. 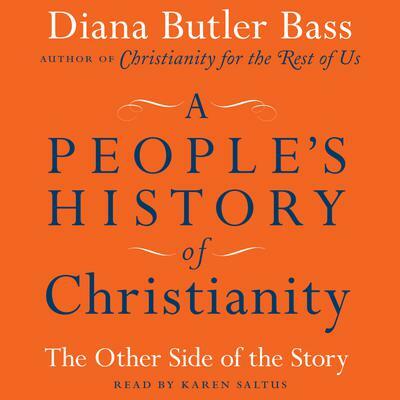 In the same spirit as Howard Zinn's groundbreaking work The People's History of the United States, Butler Bass's A People's History of Christianity brings to life the movements, personalities, and spiritual disciplines that have always informed and ignited Christian worship and social activism. A People's History of Christianity authenticates the vital, emerging Christian movements of our time, providing the historical evidence that celebrates these movements as thoroughly Christian and faithful to the mission and message of Jesus.